I was fortunate enough to be invited to New York to get behind the wheel of the all new 2015 Lexus RCF, just a few weeks ago. 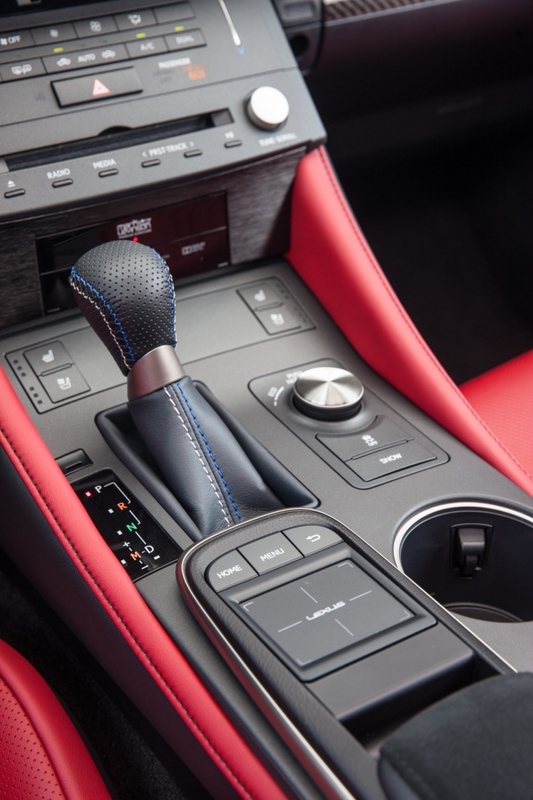 A replacement for the outgoing IS F, this car features an all new chassis, all new body, an improved engine, and a slew of other engineering tricks that represent a more of a substantial step up than a gradual evolution from the previous generation. I got to spend around 4 hours driving this beast in the streets of White Plains and on the prestigious Monticello Race Track, and between those two settings, I was able to get a thorough feel for the car’s track driving dynamics, interior appearances, and city manners. 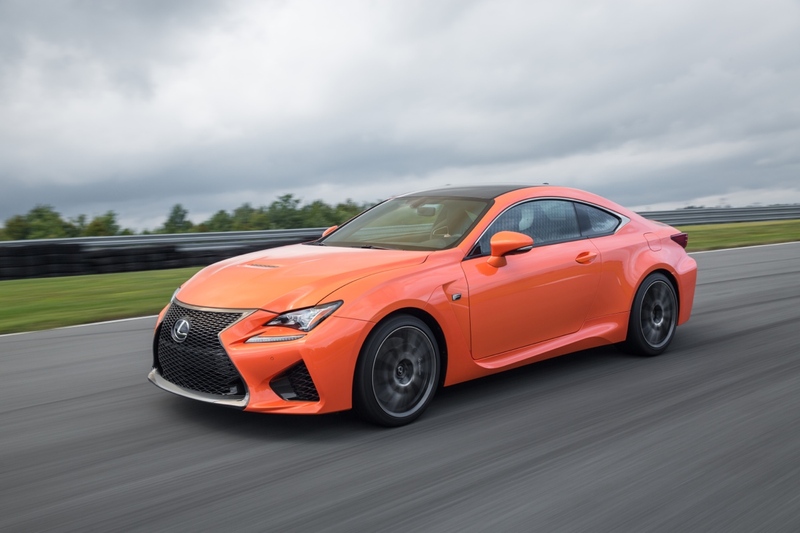 In a segment dominated by the likes of BMW’s M4 and Mercedes’ C63, the RCF came out guns blazing and fists swinging in an attempt to forge a solid space for itself alongside them. With an impressive 467hp 5.0L V8 monster under the hood, the boys from Japan meant business, and I’ll spend the next few paragraphs letting you know whether they’ve succeeded. Beauty, as they say, is in the eye of the beholder. 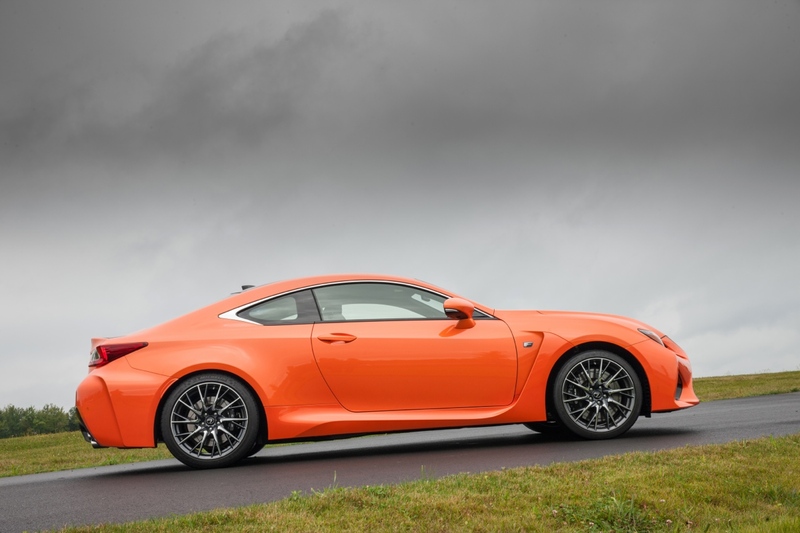 So it’s difficult to make definitive statements about whether the RCF is a beautiful car. In my eyes, it is, and judging by the number of comments from complete strangers that we received while simply in transit from the hotel to the race track, I’d say most people would find the car gorgeous. From its unmistakable signature spindle Lexus grille, which looks menacing in black mesh, to the aggressively high belt line, to the solid and muscular wide stance, to the stacked quad-pipe exhaust… every detail simply works. 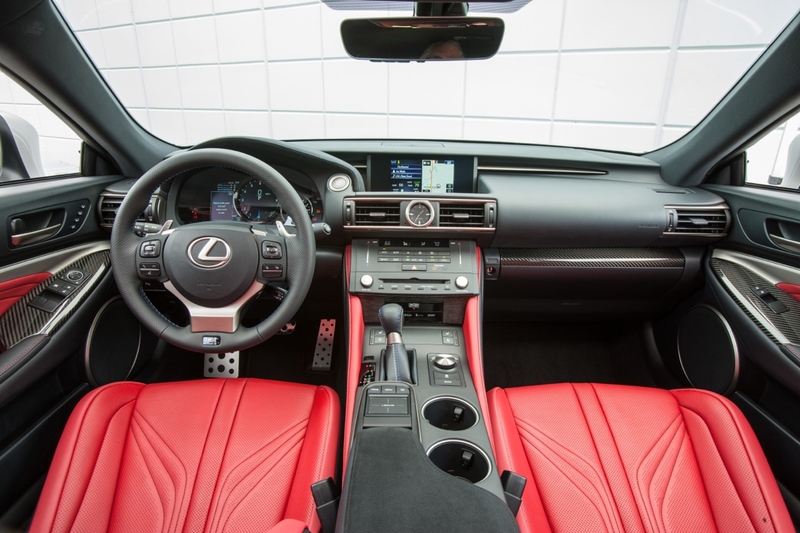 Lexus even developed a special paint process to produce some of the most eye-catching hues we’ve seen on a production vehicle. The first coat is a primer followed by silver and then a clear coat, followed by the color coat that reflects off the silver to give an additional luster. A final top color coat is then applied. (Molten Pearl uses a four-layer process made possible by the strength of its primer material and vibrant primary color, meaning a silver reflective coat is not necessary.) The vehicle passes through baking ovens four times during the process, and is sanded by hand with a gentle water- based application. Inspectors scrutinize each vehicle to ensure the paint meets strict standards. The interior is just as stunning, with Recaro-style bucket seats that are more comfortable than normal sports seats due to their distinctive construction process. Instead of stretching the upholstery tightly over the foam, causing increased tension in the fabric and hardening the seat, the upholstery is laid first and the foam added afterwards. Result = better seats. The rest of the interior screams class and luxury, from the padded leather and foam leg rests, to the Alcantara in the arm rests. The SatNav/Entertainment console is controlled through a touchpad, while a snap-to-elements function on the screen minimize errant movements. It works well, and is packed with features that are too many to enumerate here. I did find that this controller was oddly positioned however, causing you to have to stretch your arm to reach it, rather than having it at the tip of your fingers. Minor issue, but an odd one nonetheless. The rear wing deploys at 50mph, and stays deployed until you drop back down below 25mph. There’s also a button to keep it up at all times. 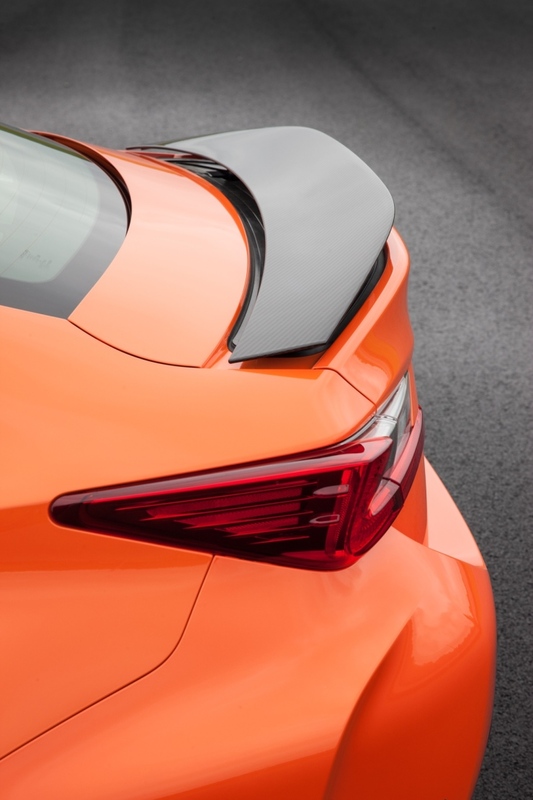 It does look good and is generally understated, which is great in a spoiler (no one likes the big WRX-style spoilers, let’s face it). But when asked what kind of downforce the wing produces, the engineers preferred not to comment. This tells us that it’s mostly decorative, and that’s fine. The act of having it come out above 50mph, as if it was somehow necessary at those speeds? Purely a gimmick, but a nifty one nonetheless. 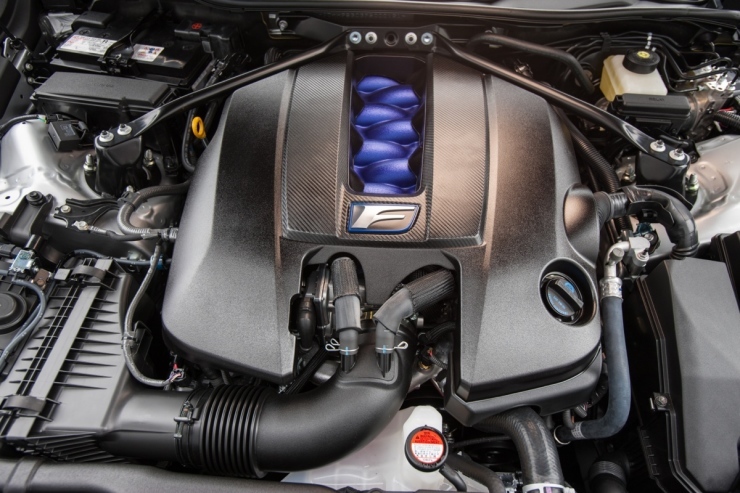 Under the (very shapely) hood, you’ll find an aluminum block 5.0L V8 engine that produces 467hp at the 7,100RPM redline. Torque stands at a reasonable 389 lb.-ft. @ 4,800 – 5,600 rpm, giving you a decent flat curve. 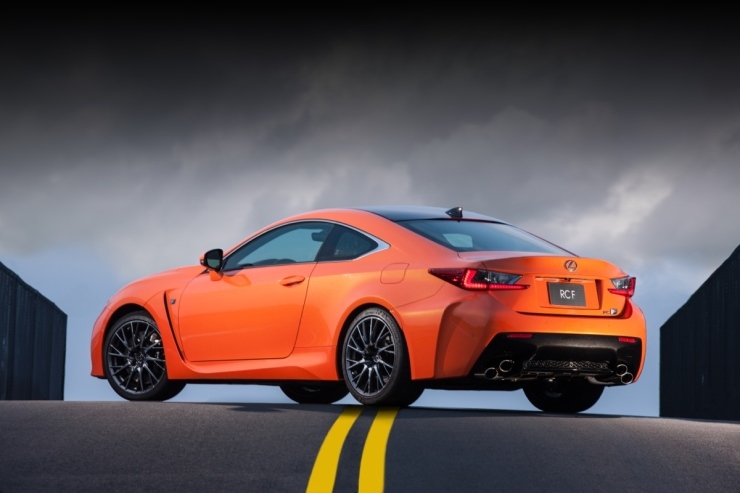 Now, while 467hp may seem like a lot, you have to keep in mind that the RCF does weigh 3,958 lbs. That’s quite a bit, so the extra power was definitely needed to keep performance on par with its main competitors. 0-60 is achieved in 4.4s, while the quarter mile takes 12.5s to cross. While pretty impressive, it does lag behind the M4’s 3.9s 0-60 times and 12.1s quarter mile times. Fortunately, driving pleasure isn’t all about straight line power and performance. Aside from the requisite 15.0in. (in the front) and 13.6in. 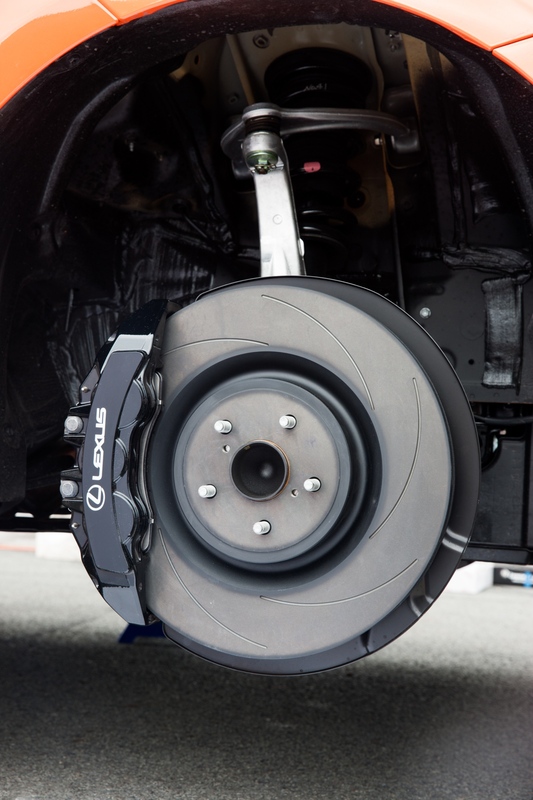 (in the rear) ventilated rotors with six-piston opposed aluminum callipers (made by Brembo, for Lexus), and the 19 inch Michelin Pilot Sport tires, there’s a whole lot of tech that went into keeping this car on the road, and going fast. Perhaps most impressive was the Torque Vectoring Differential, which is able to shift torque from one wheel to the other as needed. This means that in a corner, torque is shifted to the outside wheel so that it can more easily “bring the car around”. The engine feels amazing, and sounds even better. It’s instantly responsive, an inevitable side-effect of natural aspiration. And the sound, while already glorious in its own, does get actively piped back into the cabin with an electronic actuator. 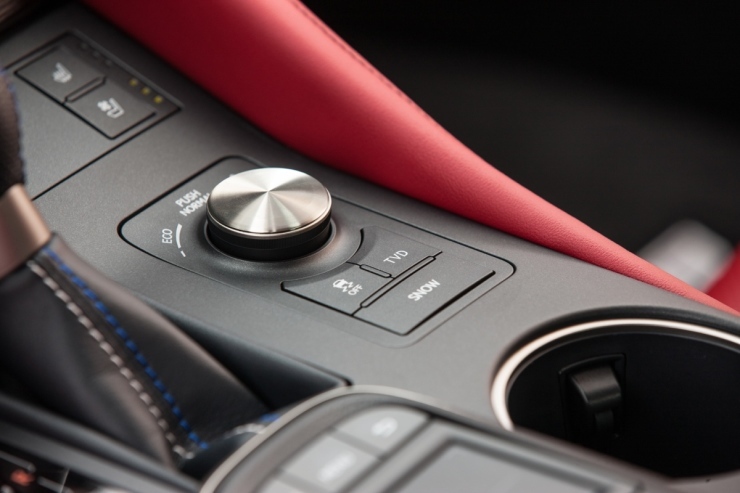 They call this Active Sound Control (ASC), and it’s a feature that’s only active in one driving mode, Sport+. You can hear it happen, when the muffled growl of the engine passes a certain RPM, and you suddenly find yourself vibrating from the increased wail. Downshift blips are purely intoxicating, and after you’re done being impressed with the acceleration, after you’ve grown bored of remarking on the powerful brakes, and after you’ve stopped noticing all the little things the stability control system does to keep you on the road… you will still smile at that engine sound. It’s just that good. Speaking of stability control, Lexus calls theirs “Vehicle Dynamic Integrated Management (VDIM) system.” It’s a system that monitors and coordinates a slew of different variables, from the powertrain, ABS, electric power steering, and traction control (TRAC), to the Vehicle Stability Control (VSC) systems. This allows it to subtly keep you on the road once you’ve pushed the car just beyond its limits. But unlike the stability control of other manufacturers (looking at you, BMW), Lexus does its job so subtly that you barely notice it happened. 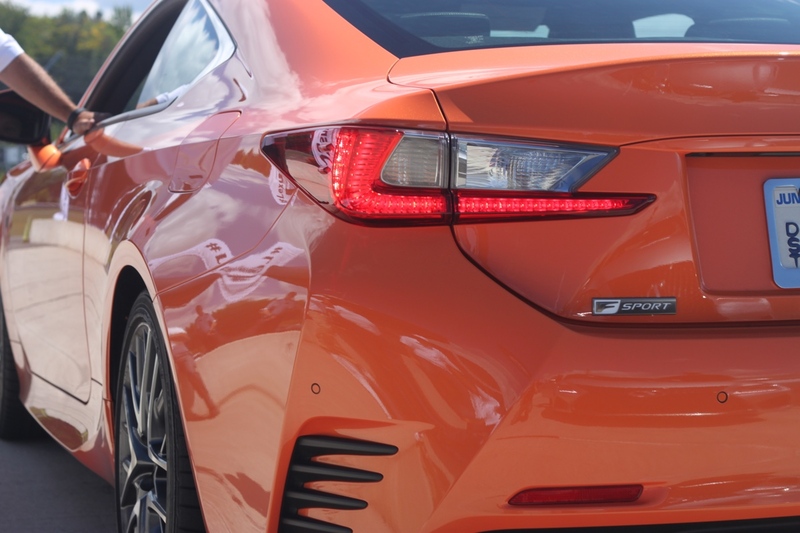 While a BMW experiencing a loss of traction will simply cut power to the engine, causing a mass deceleration, the RCF simply dials it down a notch, but still keep on pushing. The result is that you’ll barely lose any speed, but just enough to keep you on the track. It’s seamless and it’s the one thing that makes this car so accessible. Because in the end, I’d say this is the big salient point of this car: accessibility. It’s a car that’s aimed at a particular kind of buyer: a younger, early 40’s professional male. He earns a good six figure income, and he’d like a sports car. But he’s not a professional driver. He wants something he can take to the track twice a month, and would like to feel like he’s doing some serious driving… but not necessarily by learning how to drive seriously. The RCF is a massive monster on 4 wheels, that you can simply point in the direction you want, and go. There’s so much tech designed to keep you on the road, but all of it is nearly invisible, rarely making you aware that it isn’t, in fact, just you making these crazy laps around the track. Fortunately, you can disable all that and enjoy the car nanny-free. But be warned that you better know what you’re doing. There’s a lot of power under that hood, and by the time you’re done laughing at how great the engine sounds, you’re already cruising at 120mph and need to stop in a hurry. 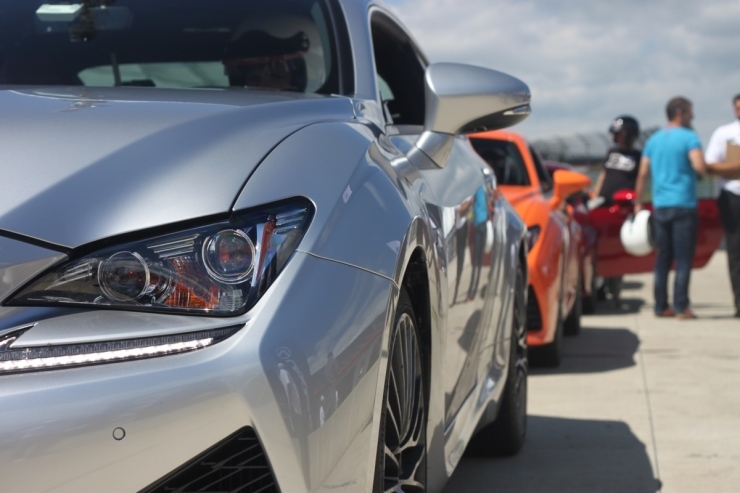 The RCF stacks up well against its competition, at least on paper. I haven’t had a chance to drive either of the Germans, but despite lagging behind on some metrics, I have to say I came away from my weekend thoroughly impressed with what Japan has put together. Starting in the upper $62,000, this is a more than reasonable way to get in on that exciting segment of the automotive market. Can Lexus stand toe-to-toe agains the likes of the M4 and C63? You bet!